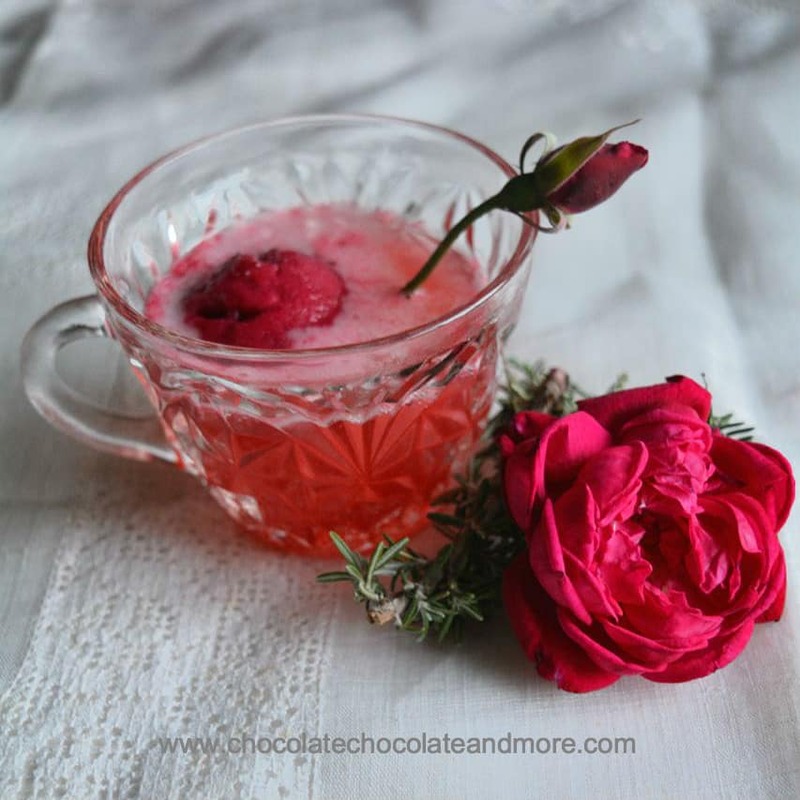 Cranberry Ginger Fizz - Chocolate Chocolate and More! 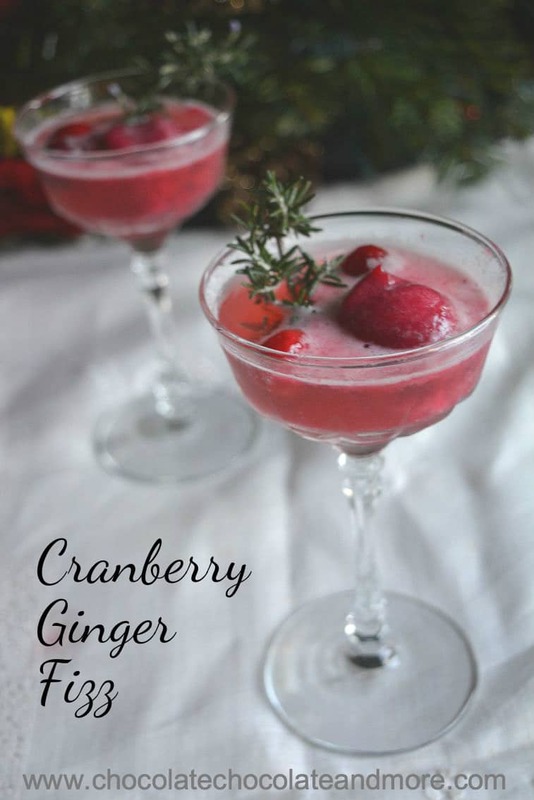 Cranberry Ginger Fizz can be made with Prosecco for the adults or gingerale for the kids. It’s a light fun drink for the holidays! Cape Cod Select sent me several pounds of premium cranberries for a recipe contest. There are three categories: baking, main course and drinks. Last week I made a chocolate cranberry pecan pie for their baking category. This post is about an easy to make drink for their drink category. Holidays are all about family. I love time spent with family and friends around a holiday feast. Even better is the time afterwards when we play games, watch movies or sit around the table talking about things that are important to us. For my kids that’s usually the latest computer game or movie. This year I was fortunate to have all my children home and we had a special guest from Cambodia. We enjoyed introducing Sokha to traditional American Thanksgiving foods. I don’t think he liked stuffing but he went back for seconds on everything else. When the kids were little, I always served sparkling apple juice with our holiday dinners. I gave them wine glasses so they could have their special drink in an adult glass. Sometimes we all just drank the juice and other times the adults had wine. It’s nice to have a kid version of adult drinks. This year I added this Cranberry Ginger Fizz to our drink list. Everyone got a glass with a scoop of Gingered Cran-Raspberry Sorbet and added the drink of their choice – Prosecco, gingerale, or sparkling apple juice. The result is a wonderful tart drink that goes really well with turkey. I garnished them with a little rosemary from our garden and some rosebuds. Don’t worry if you don’t have an ice-cream maker. You can freeze the sorbet mixture in ice-cube trays or molds Or just freeze in a bread pan for a few hours until thick before scooping into glasses. You can even just chill the mixture and add it as a syrup. Put all ingredients in a saucepan and heat on medium until it boils. Boil until the cranberries are soft (just a few minutes). Remove from heat and cool to room temperature. Pulse mixture in a food processor or blender until pureed. Put mixture through a sieve to remove raspberry seeds. Cool overnight. Place a small scoop of the sorbet or a couple of cubes in each glass then top with the beverage of your choice - Prosecco, gingerale or sparkling water. Garnish with some whole Cape Cod Select Premium Frozen Cranberries. You can also make this in a punch bowl. Freeze the mixture in a mold until solid and then unmold in the punch bowl. Add a bottle of prosecco or ginger-ale. 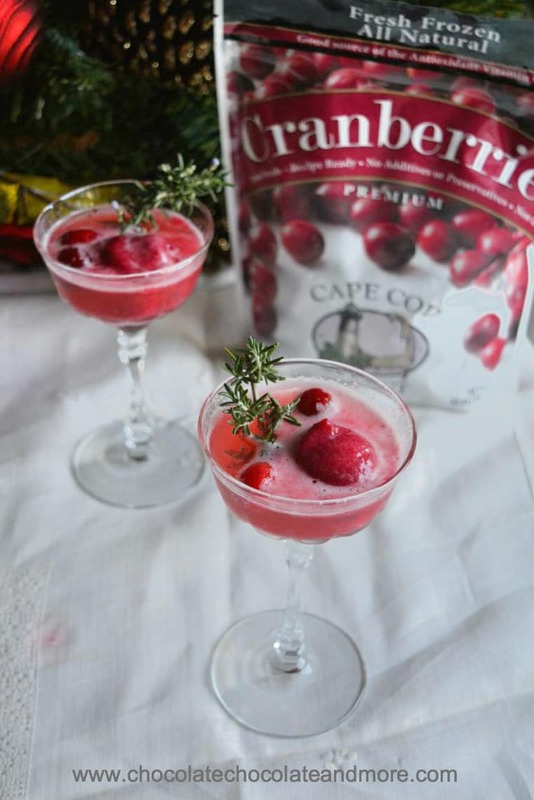 Garnish with whole Cape Cod Select Premium Frozen Cranberries. Cape Cod Select Premium frozen cranberries are available nationwide. You can find a store near you by using their store locator.